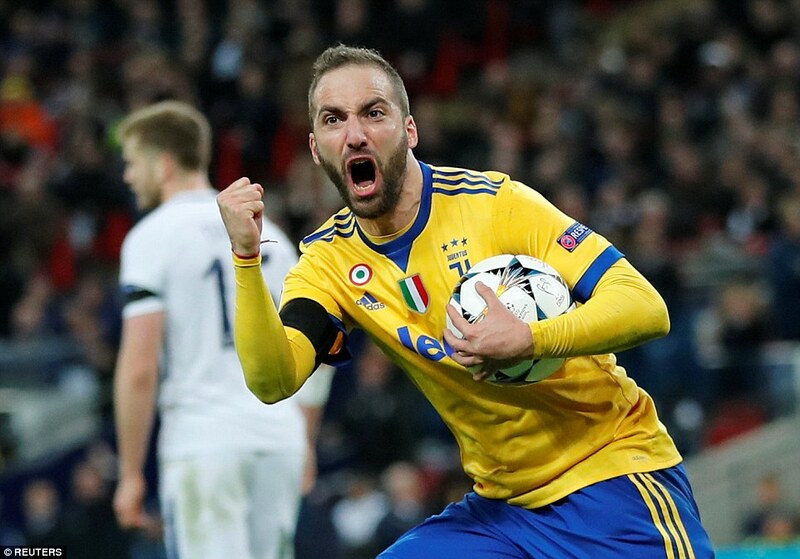 Higuain, Dybala, put Spurs to the sword! Lads, as Sir Alex Ferguson, so memorably said, it’s Tottenham. And we all know what that means. Disappointment. Frustration. Underachievement. Just when it’s won, it’s lost. Why should this Champions League campaign be any different to some very recent history? Meaning, just as Tottenham’s title challenges suffer inexplicable derailments, so a Champions League tie that looked to be well in hand, suddenly reared up and bit them in the space of two minutes and 49 seconds. 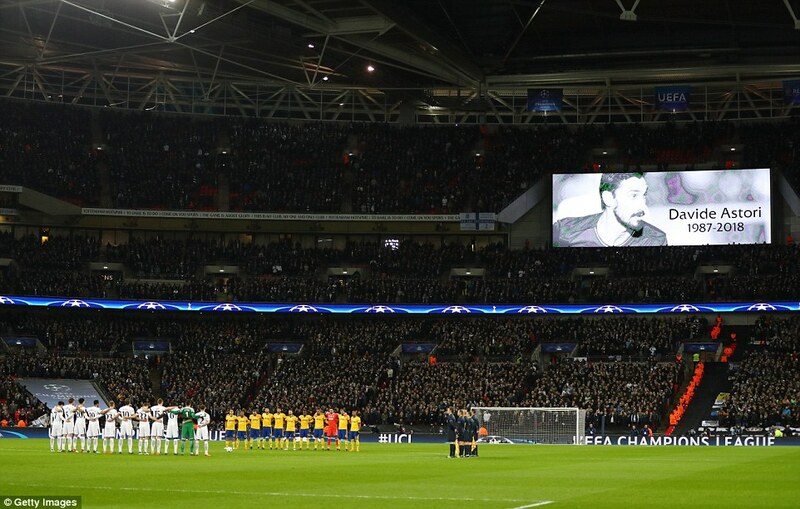 Tottenham were looking good, 1-0 up on the night, 3-2 ahead on aggregate. Son Heung-min had scored his 14th Wembley goal this season – of 16, in total – and all was right in the world. Then it all went a little, as the saying goes, Spursy. Juventus, having barely threatened all night a travesty of a rejected penalty aside, scored the two goals they needed to progress. It will be argued experience was the key. 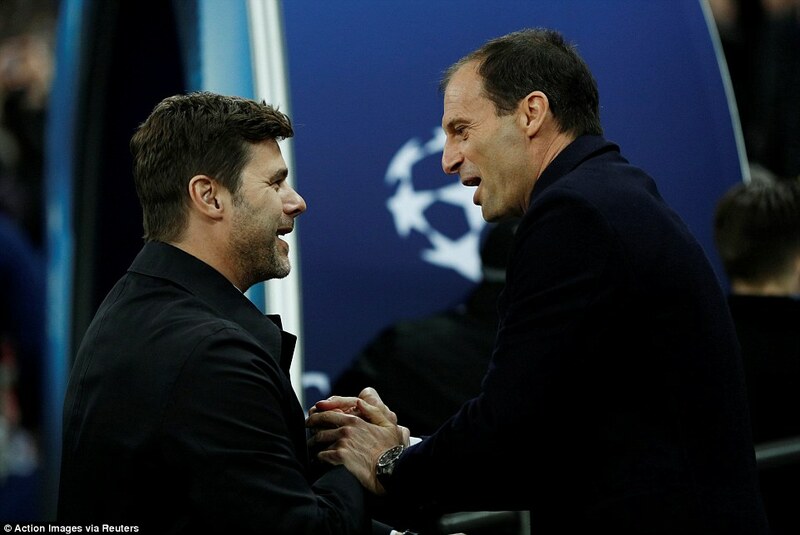 Juventus had three times as many Champions League appearances in their starting line-up as Tottenham, but it was more than just that. Tottenham have to be better under the pressure of the marquee match – certainly if they are going to win this tournament, or any really, under Mauricio Pochettino. Tottenham (4-2-3-1): Lloris 6; Trippier 6, Sanchez 6, Vertonghen 5.5, Davies 5.5; Dier 6 (Lamela 74, 6), Dembele 6.5; Eriksen 6, Alli 6.5 (Llorente 86), Son 7; Kane 6.5. Juventus (4-3-3): Buffon 6; Barzagli 5.5, Benatia 5 (Lichtsteiner 61, 7), Chiellini 8, Sandro 6; Khedira 6, Pjanic 6, Matuidi 5 (Asamoah 60, 6); Dybala 7, Higuain 7.5 (Sturaro 83), Costa 7. The equaliser came from Gonzalo Higuain, who until that point had been largely anonymous. Responding instantly to a change of system from coach Massimiliano Allegri, substitute Stephan Lichtsteiner sped down the right and clipped in a cross that was headed towards the far post by Sami Khedira. No Tottenham player occupied that space but Higuain did, and he turned the ball in on the volley. At 1-1 Tottenham would have gone through on away goals. The mood had changed, though. Juventus sensed the kill, Tottenham sensed – well, whatever they do sense in these situations. Forboding, maybe; or calamity. Soon, it arrived. Davinson Sanchez had played well but he was turned spectacularly by Higuain, who slipped the ball through to Paulo Dybala, now haring on goal with only Hugo Lloris to beat. He made no mistake and Juventus held their nerve in a way Tottenham simply do not. Call it experience – but it’s also something else. 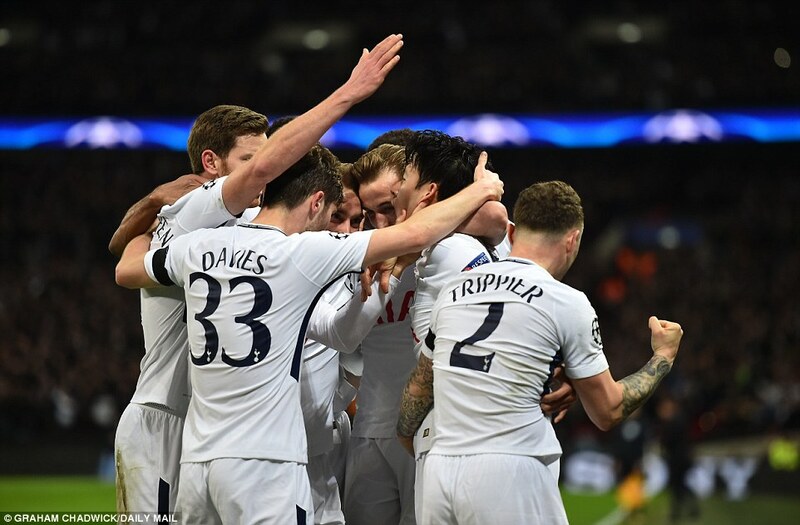 There had been no doubting the identity of the best team over two legs, but little dispute also that, initially at Wembley Wednesday night, Tottenham got very fortunate indeed. Juventus had a penalty. To the majority watching inside the stadium, it was a penalty. To the great number watching at home it was a penalty. Even those listening on the radio knew it was a penalty, given that there cannot have been an observer in the commentary positions who would not have called it immediately as a penalty. Even Jan Vertonghen knew it was a penalty because he is not that good an actor and his protestations of innocence were hammy and unconvincing. The only folk in denial were match official Szymon Marciniak, and his many, many assistants. Particularly the bump on a log behind the goal. 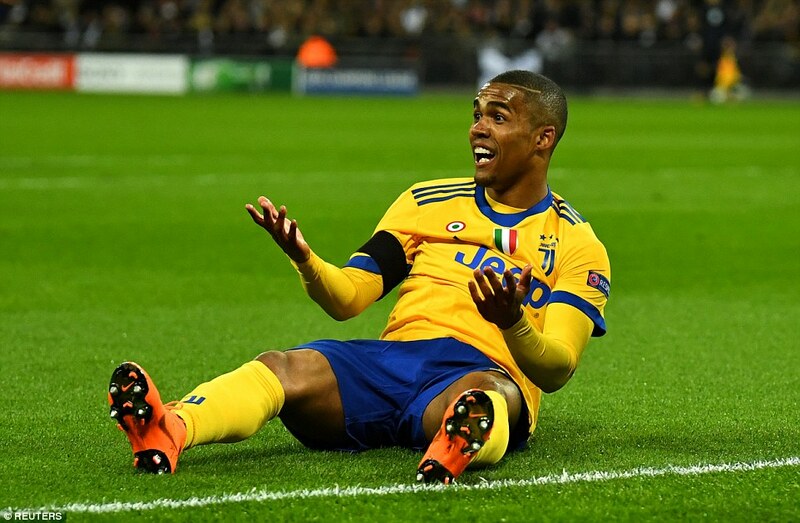 Juventus winger Douglas Costa as good as landed in a heap at his feet courtesy of Vertonghen. Marciniak waved play on; his little helper stared mutely ahead. 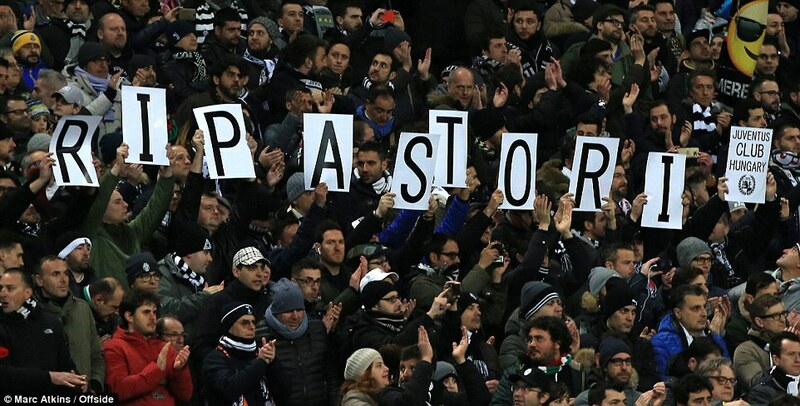 Juventus, as one, raged. Not only were they right, but laughably so. For a UEFA standard additional assistant referee – as the bumps on a log are formally known – to have missed this was incredible. Where do they get these people from? Poland, in the case of Wednesday night’s officials, meaning they won’t have a whole lot of experience in front of 80,000 capacity crowds, or handling games as fast and technical as this. Another layer of irony is added by UEFA president Aleksander Ceferin’s opposition to VAR, claiming ‘nobody understands it’. It could be argued that they understand it better than the assistant understood the rules. Costa did not even exaggerate his fall. He was taken out, plain and simple. Tottenham were extraordinarily lucky not to be facing a penalty after 17 minutes. What else was missed? Handball by Giorgio Chiellini, who got in a tangle against Harry Kane, his arm making contact as he tried to regain his footing. That might have been considered accidental, but Chiellini made little attempt to get out of the way beyond that, his arm ending up controlling the ball much as a midfielder might with the inside of his boot. Nothing from Marciniak on that one, or in reaction to Andrea Barzagli walking all over Son Hueng-min in a manner that was at best careless and at worst outright malicious. VAR cannot come quickly enough for officials as eagle-eyed as this. Thankfully, a fine game of football made the controversies if not entirely palatable, then less of a headline issue. Having rode their luck, Tottenham took the lead – meaning the best time was in front at half-time. The scorer, deservedly, was Son – outstanding in the opening 45 minutes even if his misses continue to frustrate. His first could have been his third of the night with more composure, starting in the third minute when excellent hold up play from Kane put him through, forcing a fine save from Gianluigi Buffon. In the 38th minute he was sent speeding away down the left by Ben Davies, drawing his man, but screwing his shot wide across the face of goal. Yet Tottenham were increasingly in the ascendancy and a minute later Juventus’ resistance was broken. Dele Alli and Kane were involved in the build-up, but the killer pass was played, as it has been so often this season, by Kieran Trippier from deep on the right. First time, too, as is his trademark, and catching Juventus’ back line in recovery mode. Son was the spare man but lucked out, scuffing his shot only to see it spin past Buffon and into the net. 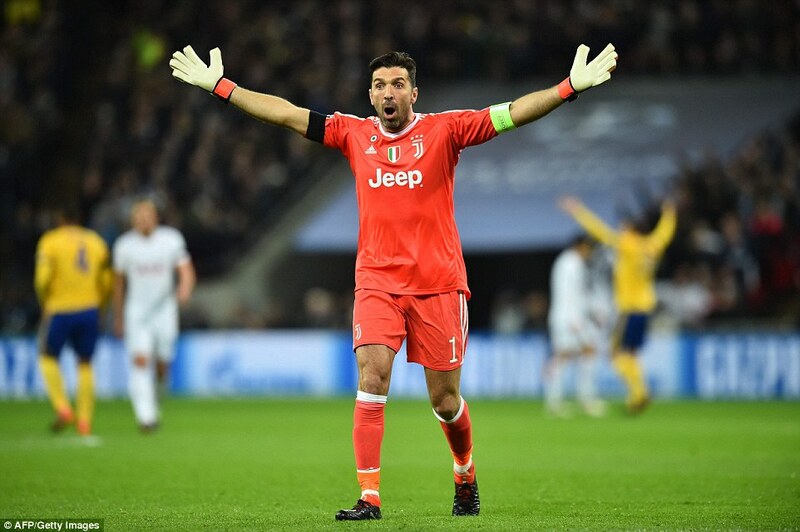 Juventus now needed two when – penalty aside – they had barely threatened one. Vertonghen had been booked for a foul on Paulo Dybala but chances were scarce and only after Tottenham had scored did Miralem Pjanic try a shot from outside the area. Tottenham, by contrast had several Son-less, attempts -Kane skipping around Buffon only to hit the side-netting off-balance, and an Alli header from a Tripper cross repelled by the goalkeepers’ fists. He needed to be on his toes in the 32nd minute, too, when a Medhi Benatia header was returned by Alli from the edge of the area.